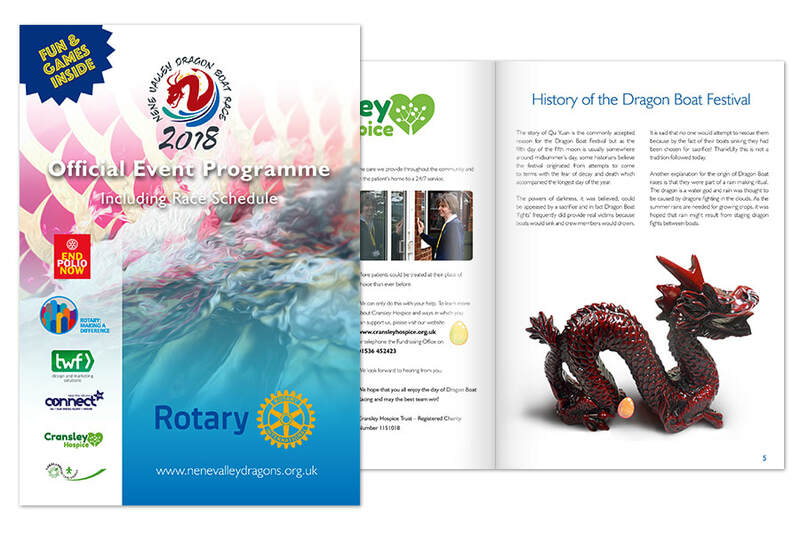 TWF Solutions has worked with the Rotary Clubs of Rushden, Rushden Chichele, Corby Phoenix, Kettering and Kettering Huxloe for over eight years, delivering free-of-charge design and marketing services for their flagship annual event, the Nene Valley Dragon Boat Race. Swift Technology Group has also entered team 'Not so Swift' through the years, which has come in some impressive placings, although we've not yet managed the number one winning spot! This is a fantastic event that brings business together and raises thousands of pounds for local charities. TWF has also worked with Freedom in the Air CEO and Rotary International Polio Ambassador, Gautam Lewis, to help the fight against Polio, and help bring his dreams of flight for all to reality. Using our skills to help raise money for local charities is something we are really proud of, and we'll continue to offer support through various channels. We would like to thank TWF for all their hard work. 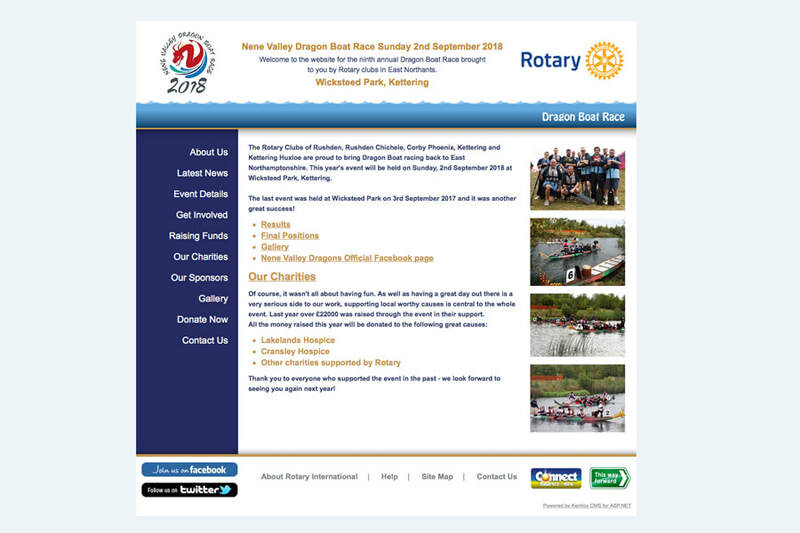 They have helped to make the Rotary Nene Valley Dragons Boat Race a success since the very first event to the amazing event it is today.